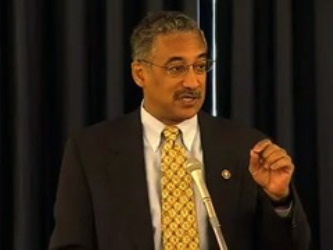 WASHINGTON, DC – Led by members of the Congressional Black Caucus, law makers today are calling upon President Obama to restore religious liberty protections in employment law. On June 25, 1941, with the U.S. poised to go to war, President Roosevelt signed Executive Order 8802 in response to the efforts of black labor leader A. Philip Randolph and other civil rights leaders to acquire fair employment practices for Black workers at defense plants. This marked the first time ever that presidential action was taken to prohibit employment discrimination by private employers operating federal contracts and served as the birth of fair employment practices in the United States. Virtually every president expanded upon equal opportunity employment practices, and discrimination was illegal for over 60 years. Then, on December 2, 2002, President George W. Bush signed Executive Order 13279, which effectively rolled back civil rights to exempt religious organizations acting as government contractors and providing government programs with taxpayer money from the prohibition on religious discrimination. Leading today's effort is black congressman Robert C "Bobby" Scott of Virginia who said, "On the eve of the 70th anniversary of Executive Order 8802, it is time to correct this injustice."